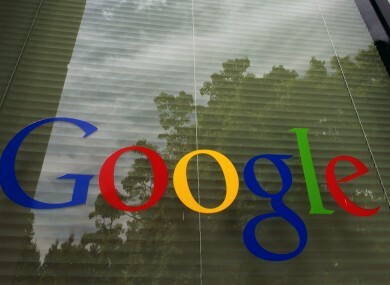 GOOGLE HAS SAID that an earlier problem with its Google Talk/Gchat service should now be resolved. The problem with Google Talk should be resolved. We apologize for the inconvenience and thank you for your patience and continued support. Please rest assured that system reliability is a top priority at Google, and we are making continuous improvements to make our systems better. If you are still experiencing an issue, please contact us via the Google Help Center. However, now that the Gchat problem has been resolved, it seems that it’s Twitter’s turn to experience an outage. The company says its engineers are “working to resolve the issue”. WHETHER YOU USE it for business or pleasure, you may have noticed that Google’s Gchat (aka Google Talk) service has been acting up today. Here at TheJournal.ie towers we’re big fans of a little bit of instant communication, so imagine our frustration when we couldn’t share the latest ‘Cats Getting into Scrapes on the Internet’ video (and lots of much more important stuff) via Gchat. We’re aware of a problem with Google Talk affecting a majority of users. The affected users are able to access Google Talk, but are seeing error messages and/or other unexpected behavior. We will provide an update by 7/26/12 12:50 PM detailing when we expect to resolve the problem. Please note that this resolution time is an estimate and may change. The most recent post from Google confirms that the team is continuing to investigate the issue. If you remember the ‘hell’ of the recent Twitter outage and you are feeling similarly lost, you may like to revisit our handy guide to things to do while Twitter is down, but just substitute ‘Gchat’ for ‘Twitter’. Email “Google says Gchat problem "should be resolved", as Twitter goes down”. Feedback on “Google says Gchat problem "should be resolved", as Twitter goes down”.